Our dental centre, set in the heart of the Midlands, is only a short drive from Birmingham town centre. We offer a range of dental health services for the local people ensuring that your short journey is always worthwhile. Your dental health is extremely important to us which is why we offer our unique dental health check providing oral cancer screening, bite and your analysis, smile analysis and a full dental health assessment. Every new patient enjoys the security of this dental health check, why not book yours today. I'm travelling from Birmingham, what dental treatments are on offer? Ensuring you have a healthy mouth and smile. Do nothing and leave the space. Replace missing teeth with dental bridges. It is also possible to combine the above options, perhaps we can replace a missing tooth with a bridge and use dental implants to retain a denture in another section. Each person is an individual, as you will know, and as such you are entitled to an individual and customised treatment plan. All of our treatment plans come with no obligation and will have the full price of any treatment listed. We'll give you your options and give you the pros and cons of each. A truly customised service making your journey from Birmingham worthwhile. Cosmetic dentistry in Birmingham is certainly a growing aspect of dental treatments. Dark teeth, crooked teeth or teeth which need adjustments to their shape our common reasons that people come to see us. Teeth whitening, dental veneers or dental crowns to whiten dark teeth. 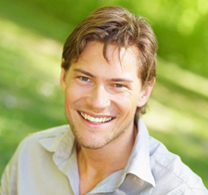 Dental crowns or dental veneers to adjust the shape of teeth. Dental bonding to fill in chipped or pitted teeth. I just want to stay healthy, can you help me? maintaining healthy teeth and gums is absolutely vital for us. Before we begin any form of cosmetic or restorative treatment we will always want to make sure you are in excellent dental health. Cleaning adequately in between your teeth. How to maintain healthy gums. Keeping halitosis (bad breath) at bay. Looking after your children's teeth. Every new patient will undergo a routine dental health check and assessment, this always includes an oral cancer screening, bite and jaw analysis, smile analysis as well as a full dental health review. Studies have shown that there are links between dental health and your overall body health, particularly the health of your heart, so it is absolutely vital to ensure that your teeth and gums are in as good as condition as can possibly be. How to find us from Birmingham. The practice is approximately 1 min walk from here.